Self-mastery is something I talk about a lot. There are a ton of external sources that seem to be fighting against us at any given time but, even worse than that, is that we seem to be our own worst enemy at times. The best way to combat that is to learn to master your natural tendency to do things you know you shouldn’t. 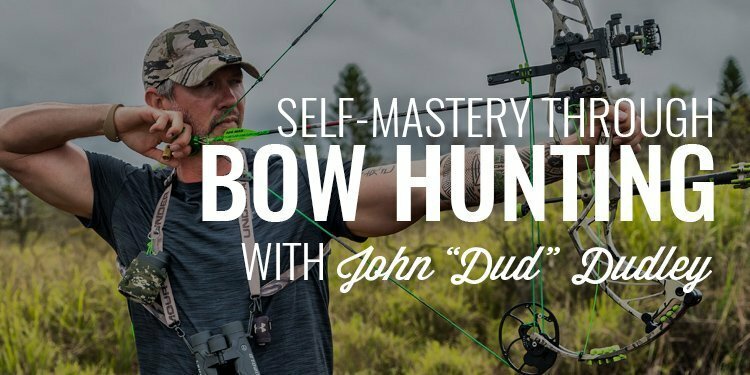 Today, I’m joined by my friend, John Dudley, to talk about archery which, at first glance, doesn’t seem to have to do with self-mastery. But that couldn’t be further from the truth. The amount of dedication and discipline this man has towards become a master of his craft is inspiring and something we can all learn from. We talk about becoming a more well-rounded man, the power that comes from honing a craft, why coach-ability is critical, becoming a lifelong learner, and how to master yourself through bow hunting. Guys, I’m stoked to bring you this conversation with one of the most qualified men to talk with you about mastery and discipline. I recently picked up archery and, in fact, I harvested my first deer earlier this year. I underestimated what it would take to make that hunt a success but a lot of what I learned, I learned from my guest, John Dudley. 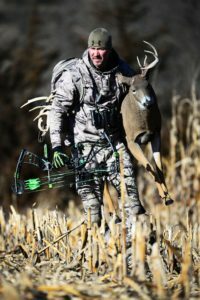 He’s been involved in archery since he was 10 years old (he talks about his first hunt) and since went on to shoot professionally for 20 years with over 120 events worldwide including gold and silver medal with the US archery team. He’s dedicated his life to archery and you’re going to hear the passion in his voice as he is striving to become a master in his and show us how to master ours. Gentlemen, it’s the last couple of weeks leading up to our meetup in Nashville. Last week on the podcast, I mentioned eight key factors of the event that you’re going to want to be part of (you can check that out at www.orderofman.com/FFN089). At the end of the day, I cannot overstate how important proximity is – especially proximity to those men who are striving to accomplish similar things to you. This is exactly what you’re going to get when you come to our meetup January 26-27th. I had a hard time finding those men who wanted to do great things in their lives so, I created it. That’s what you’re going to experience the end of this month. If you’re interested in banding with us and connecting with other men who are the same journey as you, head to www.orderofman.com/nashville.